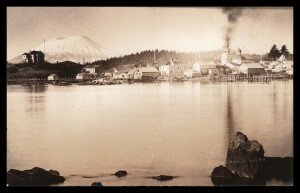 Thank you for your interest in the Sitka History Museum’s collections and archives. Our mission is to preserve and promote the events, stories and artifacts of the human history of Sitka, as part of the Pacific Northwest coast of North America, to inspire, educate and benefit the Public and future generations. We appreciate you considering us as potential caretakers of your treasures. The Museum welcomes gifts of objects, photographs, and documents that enhance or develop the collection. Please do not send or drop off objects without prior consultation. All offers must be made in writing before delivering the artifact to the museum. Due to the high cost of managing the donation process and providing for the long-term care of our collections, the Sitka History Museum reserves the right to decline donations when necessary or appropriate. The Museum cannot provide an appraised value for donated artifacts. If a value is needed for tax purposes, please consult an individual appraiser. If a donation is accepted by the Museum, a Donation Letter and a Copy of the Deed of Gift will be supplied to the Donor. The Museum is a not for profit organization and relies on donations to care for its collections. Please consider a monetary donation to help provide support for the care and management of your donation in perpetuity. If you have questions or are interested in donating artifacts to the Museum, please contact the curator, Kristy Griffin, KristyGriffin@SitkaHistory.org or by telephoning (907) 747-6455.